Yes, they certainly are. This is team Rhapsody (Ytterby, Kungälv), performing well in the Swedish championship of synchronized skating, held in Tumba (a suburb to Stockholm). They ended up in fifth place. Winners in the junior class, were team Convivium from Gothenburg. 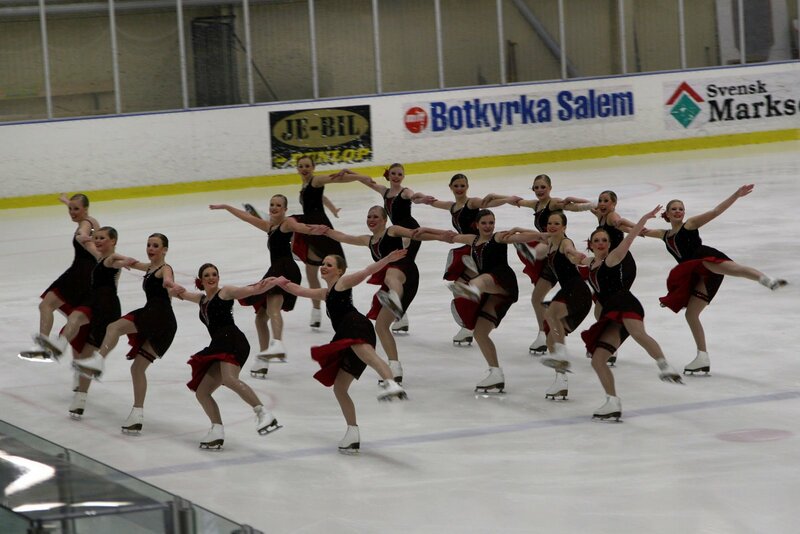 Here's team Seaside (Tjörn) - from the backside - equally well synchronized. They ended up in third place overall. For those wondering (if any). No flash allowed, so the ISO is 800, which provided a barely reasonable exposure-time - hence the somewhat hazy and grainy pictures.